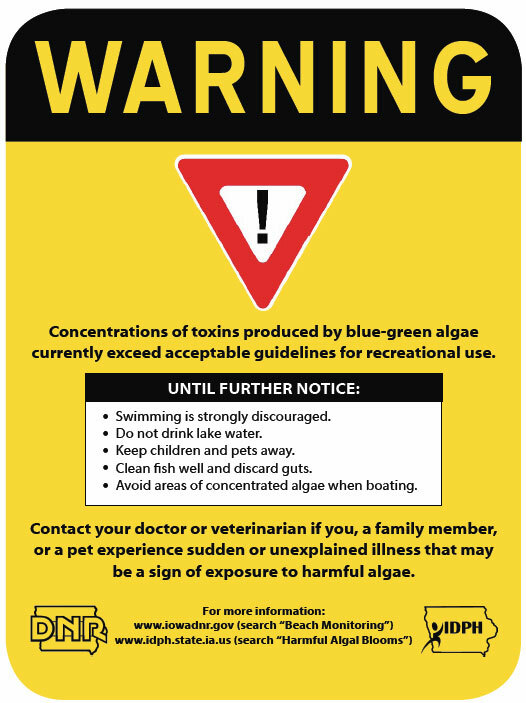 The Iowa Policy Project is calling for a focus on preventative measures to help curb increasing amounts of potentially harmful algae forming in the state’s lakes and streams. 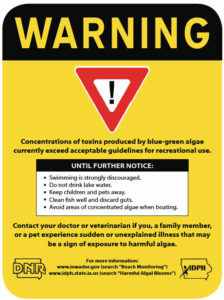 A new report from the group says algae blooms, partially resulting from chemicals used on farms, are expanding with little action to prevent them. David Osterberg, one of the report’s authors, says there’s been more talk about cover crops as a solution. “But the one that’s just not being used very much is the stream-side buffers. And we think moving to that would really get us to some protection,” Osterberg says. Osterberg says mandatory buffers around streams and rivers would work faster than cover crops to keep nutrients out of the water. Iowa’s state-owned beaches have had steadily increasing numbers of beach advisories because of elevated bacteria. The report says the current Nutrient Reduction Strategy includes vegetative buffers as an option for farmers to help reduce the addition of nitrogen and phosphorus to Iowa waterways — but there is no rule requiring their installation. One of the authors of the report Mary Skopec says the Environmental Protection Agency recommends a lower threshold for beach advisories than what’s used in Iowa. “So when we take a look at how that would impact the number of advisories for the state of Iowa, that essentially would triple the number of advisories that would be issued in the state. There is a suggestion that perhaps the standard used by Iowa is not protective enough for human health,” Skopec says. Skopec who is executive director of the Iowa Lakeside Laboratory Regents Resource Center used to oversee the state beach monitoring program. She says DNR data show a large and steady increase from 2009 to 2016 in the number of beach advisories.